The lyrics to the Sweet’s 1974 “Ballroom Blitz” conjures up images of all-out dance assault. 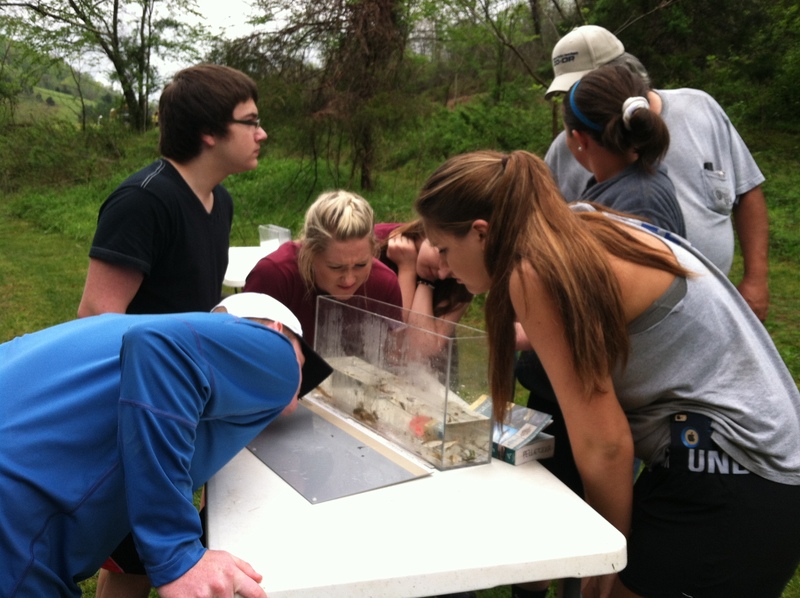 On Friday, April Addington and her class high school juniors and seniors from Twin Springs High School conducted a “stream shuffle” offensive on the fish of Stock Creek at Natural Tunnel State Park. In honor of the “Earth Week”, the state park gathered experts on everything from protists to ferns in an effort to catalogue as many species of organisms during a 24 hour period. 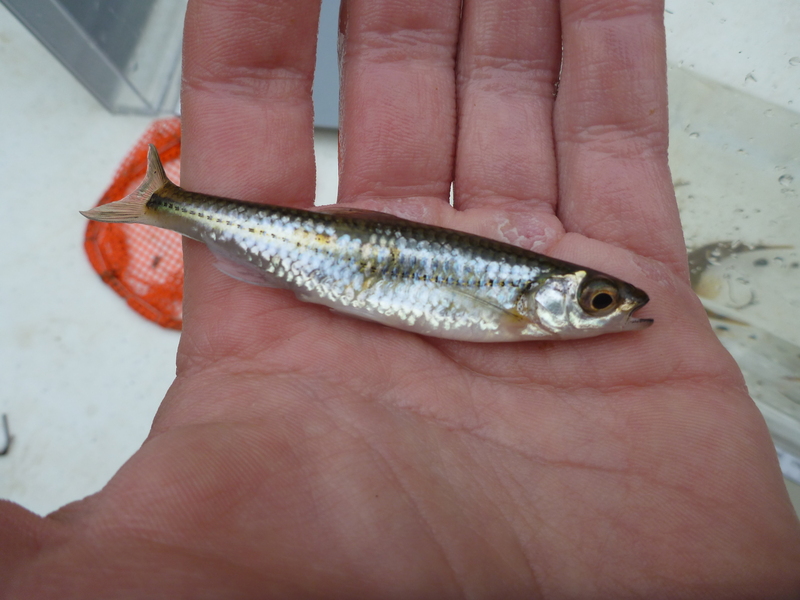 Our crew led by our kick seining crew was tasked with identifying as many species of finned critters as possible. “Stream shuffling” fish into the seine! 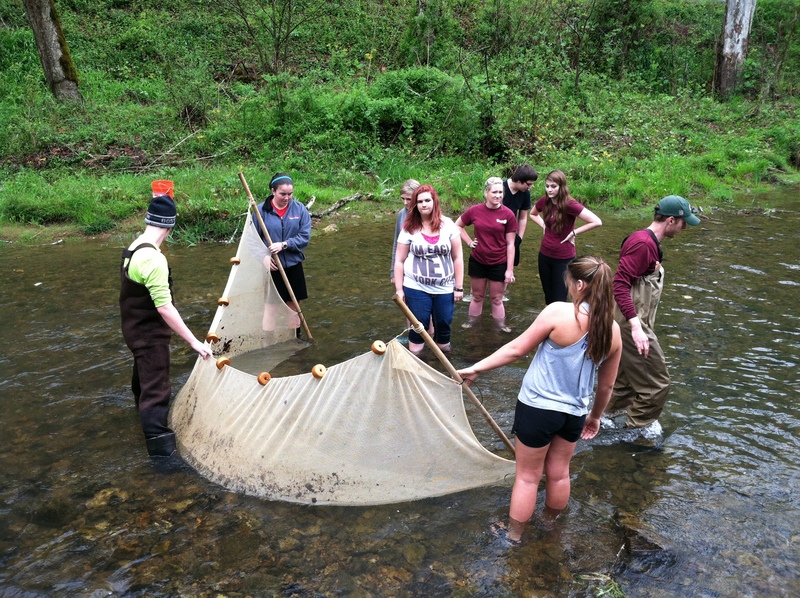 With the help of the students, we collected roughly 13 species of fish. The clear cold stream was dominated by sculpins in the rocky riffles, stonerollers on the bedrock flats, and Rock Bass in the boulders and undercut banks of the pools. 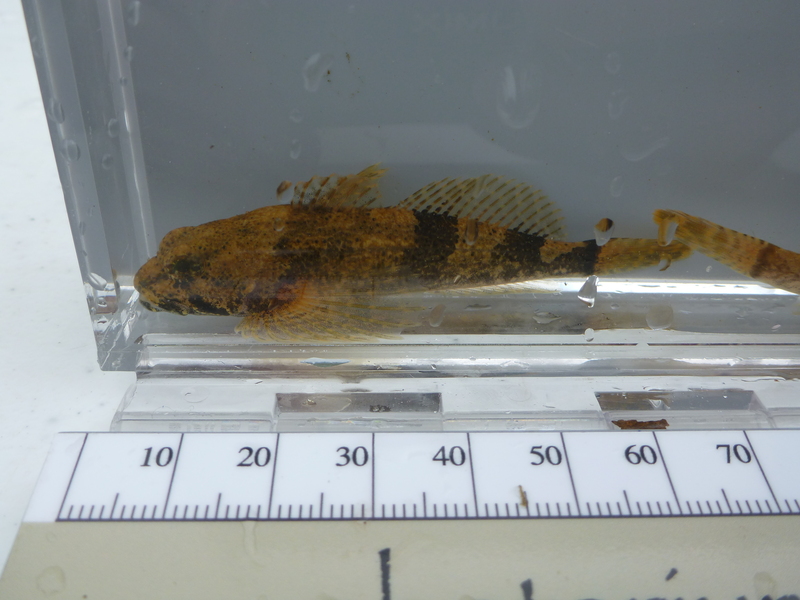 I’ll need help identifying the sculpins as there are 4 species found in the Clinch. 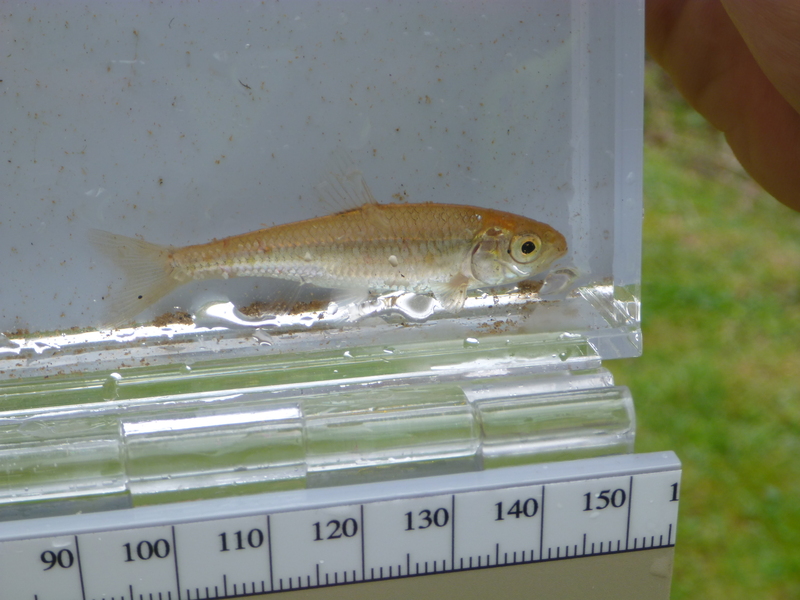 Other native species captured included: Telescope Shiner, Greenside Darter, Striped Shiner, Smallmouth Bass, White Sucker, and Northern Hogsucker. The only definitive male Stoneroller we caught. Most seemed to be females full of eggs. 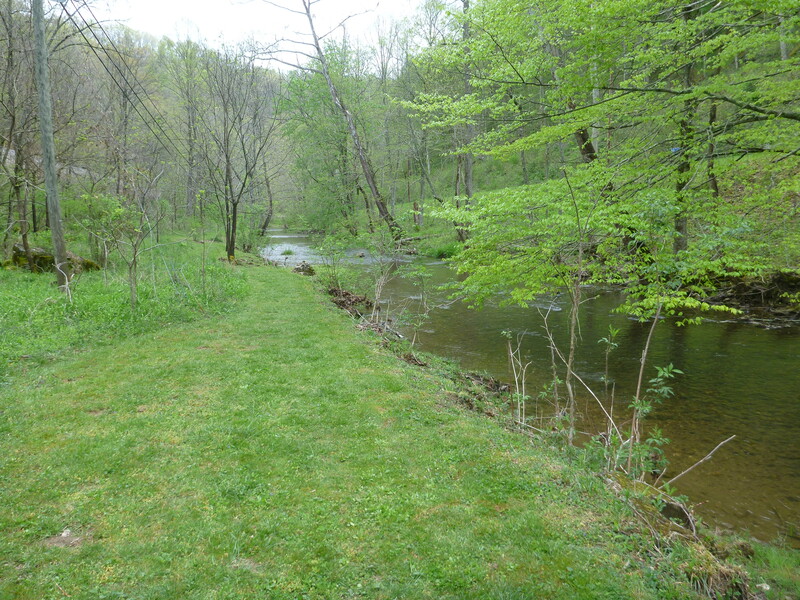 VDGIF also stocks Stock Creek with rainbow trout.. 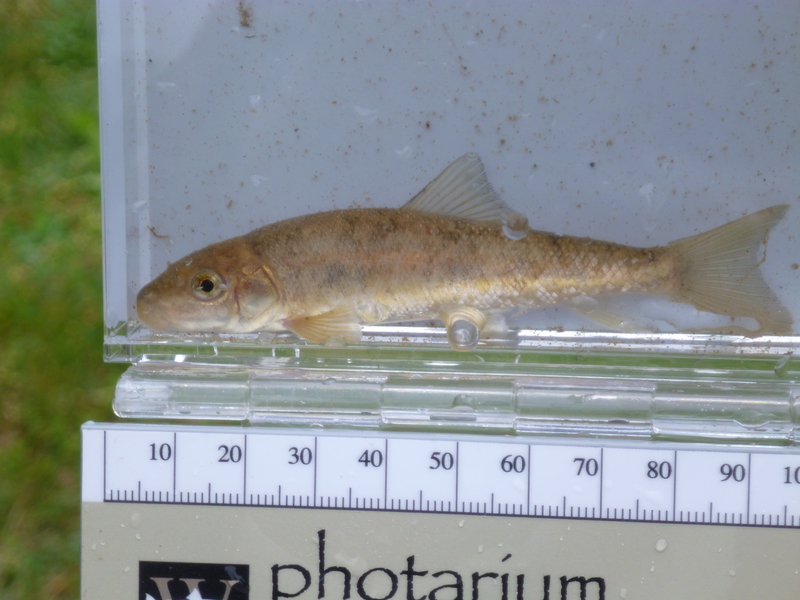 I was wondering if the presence of large gamefish might cut down on the number of minnow and darter species present but the little fish still seemed plentiful. 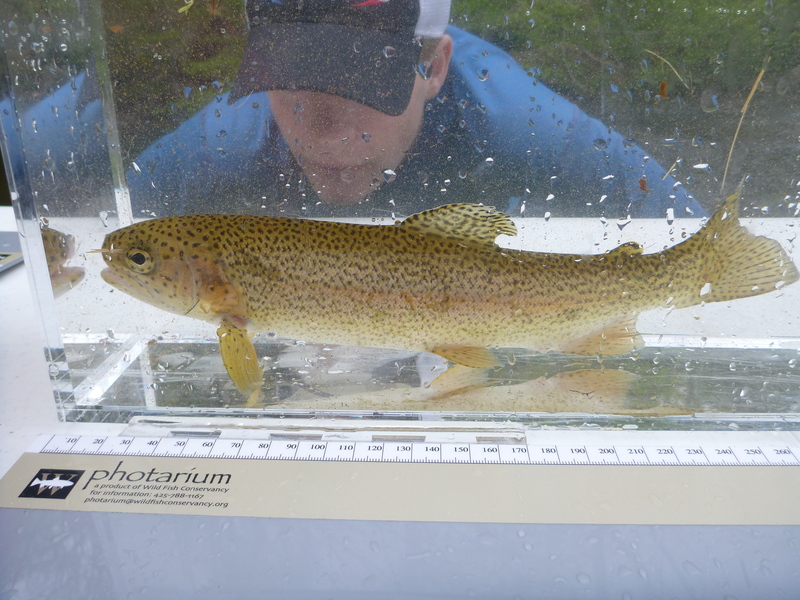 The impacts of Brown Trout stocking are likely larger as they are more piscivorous than rainbows. 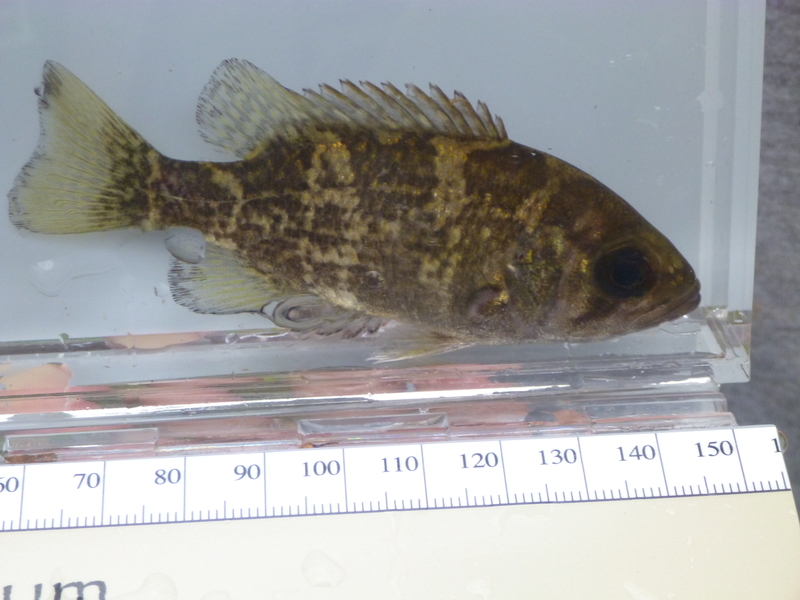 The most surprising discovery of the day were the 6 or 7 Northern Studfish juveniles we captured. 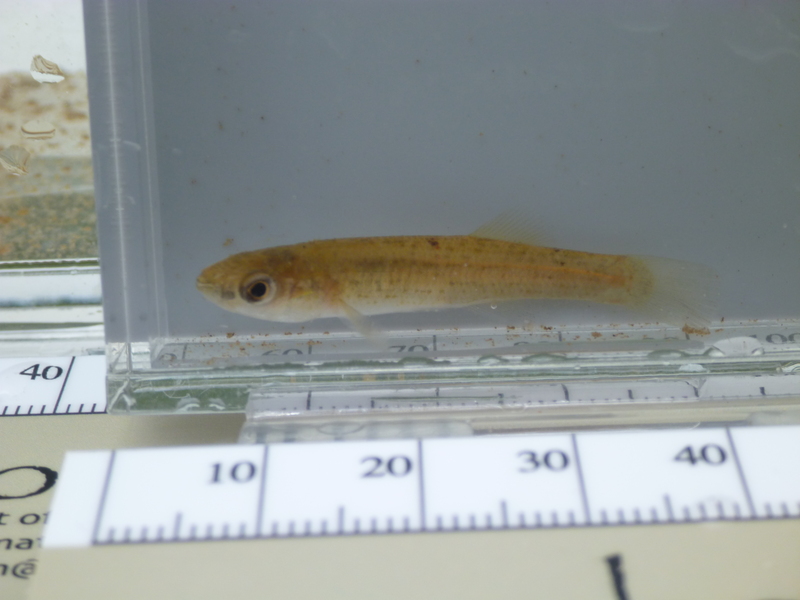 Studfish are killifishes in the family Fundulidae and are slack water specialists. 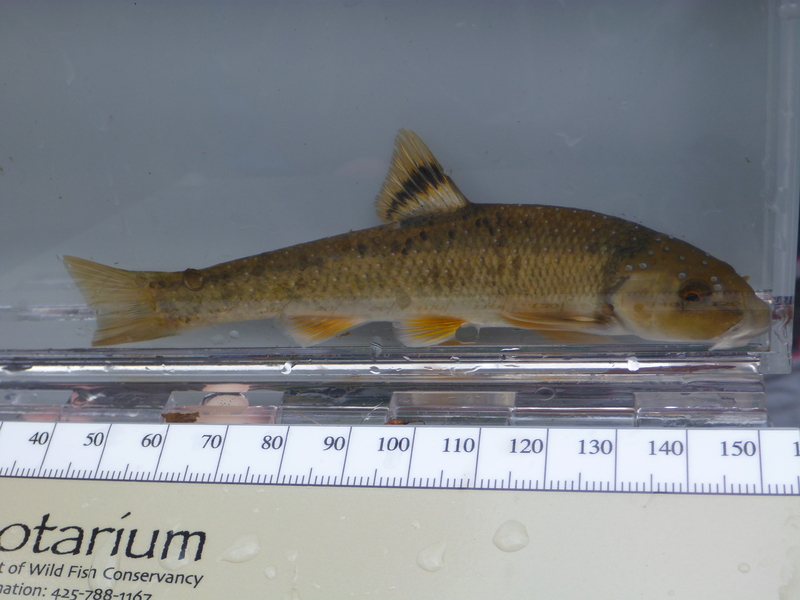 It is rare to find these fishes in swift flowing mountain rivers. Stock Creek had a few backwater areas that seemed to suit these guys just fine.The upturned, beak-like mouth allows the studfish to feed on terrestrial insects that fall into the water. The south side of the the tunnel itself is one of the most beautiful places I’ve conducted a fish survey and is one of the most awe inspiring geologic features I’ve seen in Virginia. Over millennia Stock Creek carved a tunnel through the ridge. 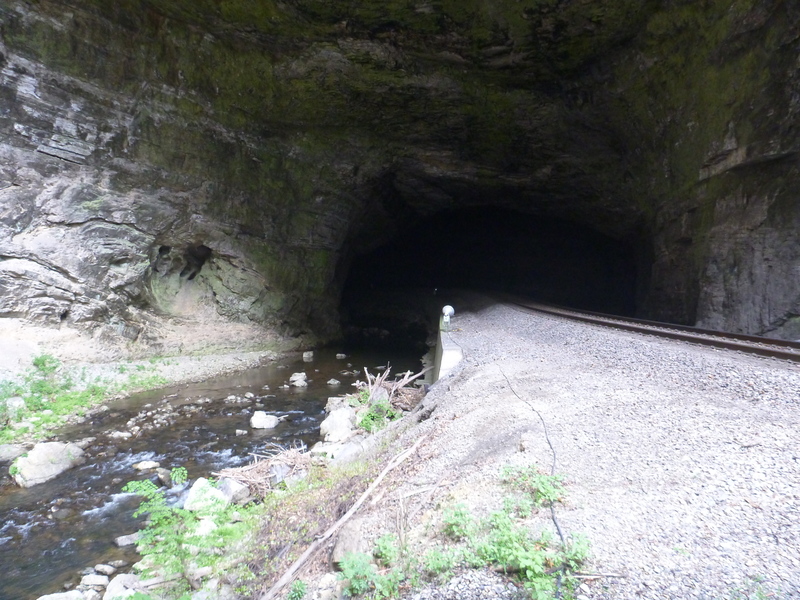 The railroad industry soon realized that the tunnel provided a convenient shortcut for rail travel and installed tracks. 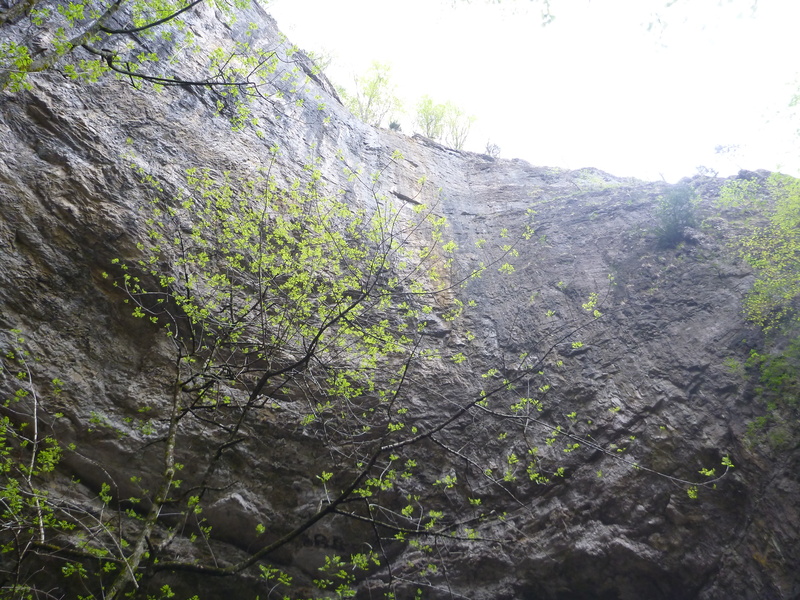 Looking up you find that you are in cylindrical canyon with cliffs rising. Occasionally drops of water would dimple the creek surface falling from the rim over 10 stories above. The rocks in the stream near the tunnel were large and covered in a slick coating of algae. Many slips led to dips in the creek and bruised limbs. 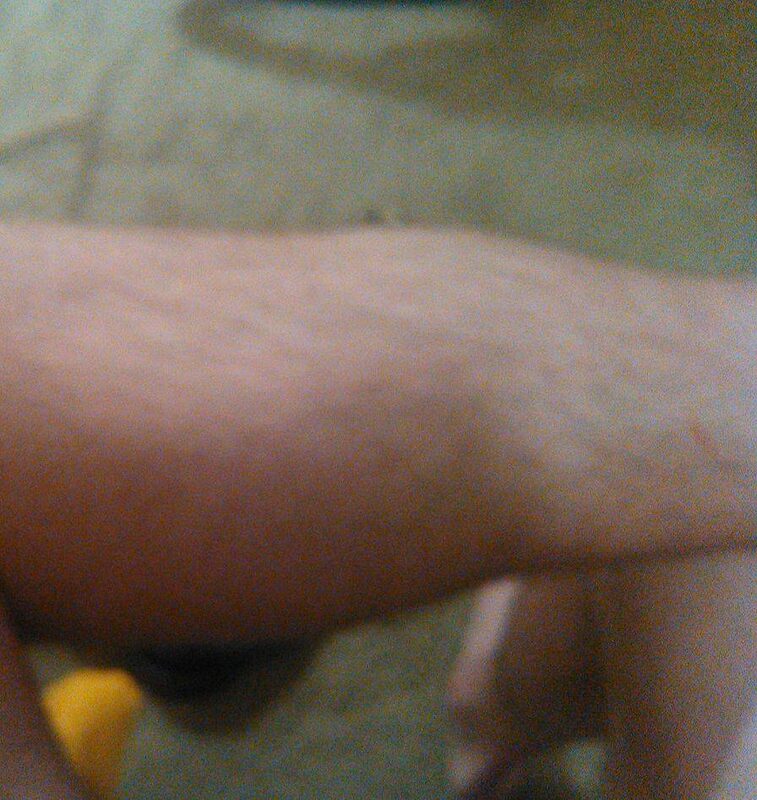 By the time we got home my shin was doing it’s best impression of the forehead of a spawning Bluehead Chub. You can check out some of the species found or log your own at iNaturalist.org. 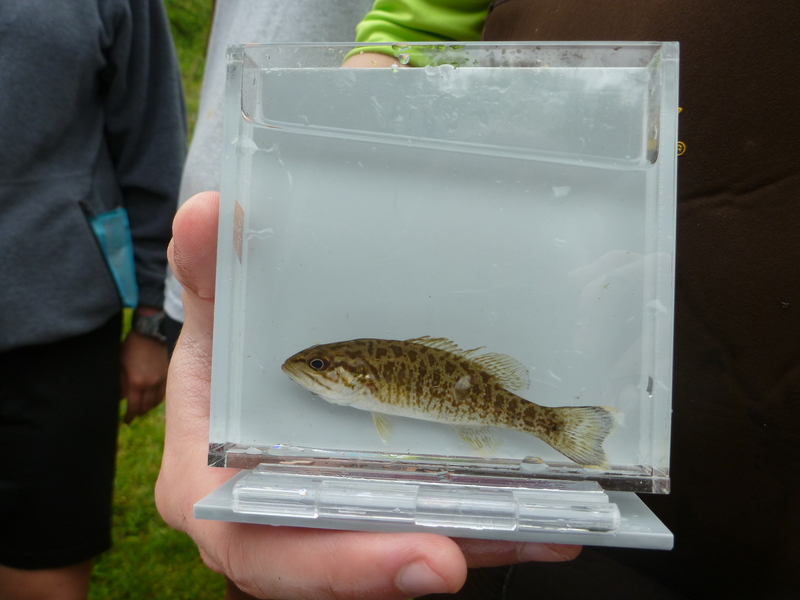 This entry was tagged BioBlitz, Citizen Science, Natural Tunnel State Park, Northern Studfish, Stock Creek. Bookmark the permalink.